Weighs approx 1.1 kg. See Colours page for more information on colour fastness. Note: If you would like to receive a colour swatch of the cover colours available, please e-mail us your postal address.Note - Dual Colour Covers are available for an extra surcharge. If you want this option - add one colour here, and add the 2nd colour when you add the Dual Colour to the shopping cart (see Colours page). PLEASE SPECIFY THE COLOUR WANTED ON YOUR ORDER. A “clip-on” Strap with adjustable support straps that give additional balance and strength. Used for “hands free” transportation. NOTE - PICTURE SHOWS PADDED STRAP. THIS IS THE SAME BUT WITHOUT PADDING ON THE STRAP. Type C - Adult Size (193 x 64 cm wide) Black “rubberised” material on both faces - with coloured cotton drill end and FLAP. For those who want maximum confidence (as with type B), but who also want to relax afterwards (the flap rolls out to cover the rubber surface). Rolls into approx. 21cm diameter. PLEASE ADD COLOUR CHOICE TO YOUR ORDER. Type C - Child Size (138 x 64 cm wide) Black “rubberised” material on both faces - with coloured cotton drill end and FLAP. For those who want maximum confidence (as with type B), but who also want to relax afterwards (the flap rolls out to cover the rubber surface). Rolls into approx. 18cm diameter. PLEASE ADD COLOUR CHOICE TO YOUR ORDER. Type B - Adult Size (193 x 64 cm wide) Black “rubberised” material on both faces with coloured cotton drill at one end. For those who require more confidence in standing poses. Emphasis on confidence. Rolls into approx. 21cm diameter. PLEASE ADD COLOUR CHOICE TO YOUR ORDER. Type B - Child Size (138 x 64 cm wide) Black “rubberised” material on both faces with coloured cotton drill on one end. For those who require more confidence in standing poses. Emphasis on confidence. Rolls into approx. 18cm diameter. PLEASE ADD COLOUR CHOICE TO YOUR ORDER. Black “rubberised” material on one face and cotton drill on the other. For those who are mainly on the floor, or prefer gentle standing poses. Emphasis on comfort. Rolls into approx. 21cm diameter. PLEASE ADD COLOUR CHOICE TO YOUR ORDER. Adult Size (193 x 64 cm wide). Black “rubberised” material on one face and cotton drill on the other. For those who are mainly on the floor, or prefer gentle standing poses. Emphasis on comfort. Rolls into approx. 18cm diameter. PLEASE ADD COLOUR CHOICE TO YOUR ORDER. Child Size (138 x 64 cm wide). 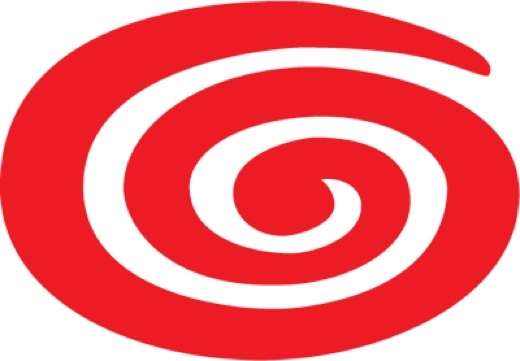 All my covers are now embroided with my own Futon Pacifika “Swirl” Logo - as a mark of Quality. 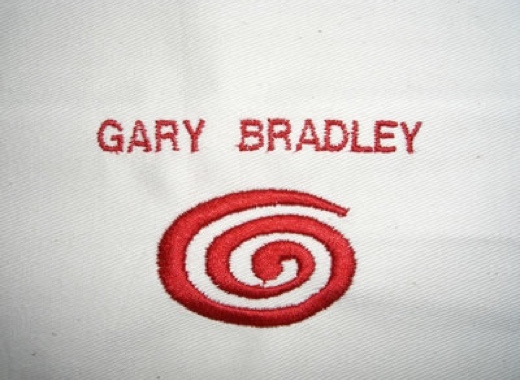 For an extra surcharge why not personalise your covers by adding your own embroidered name onto them as well. Maximum of 19 characters (including spaces). Add this item to your shopping cart and send me an e-mail to confirm the characters wanted. 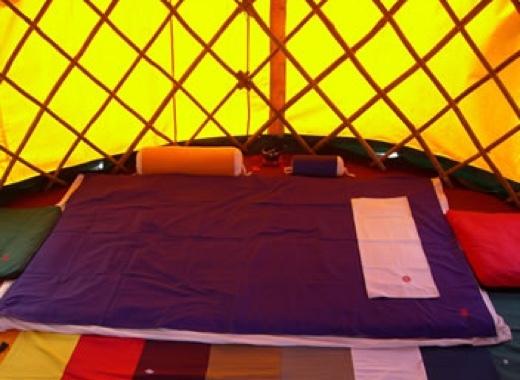 To suit changing environments or moods, Dual Colour Covers (one different colour on each face) can also be made for you. 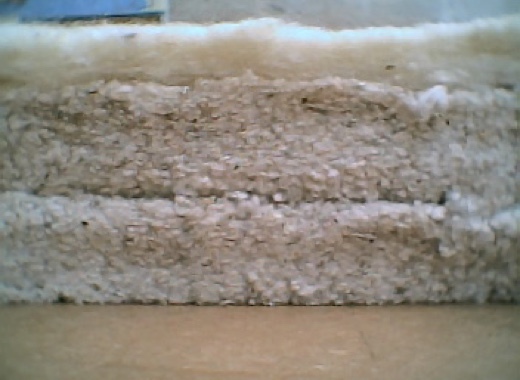 Although mixing colours is not recommended by the material supplier, many variations of “Dual Colours” have been produced without hearing of any problems. It seems colour fastness is maintained with a cool wash. PLEASE NOTE THAT THIS IS AN ADDITIONAL COST ON TOP OF THE COVERS COST (SEE RELEVANT SECTIONS IN PRODUCT INDEX). Meaning that after the Cover is put in your shopping cart, also add this item as well as the 2 colours you want. 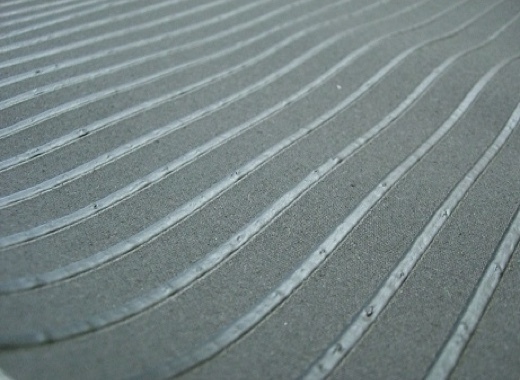 Mats can also be “made-up” to suit your Own Applications. If you want a different size for something (using the same materials - e.g. beds / bigger sizes etc). Lets talk about what you want - and we can agree upon a solution. 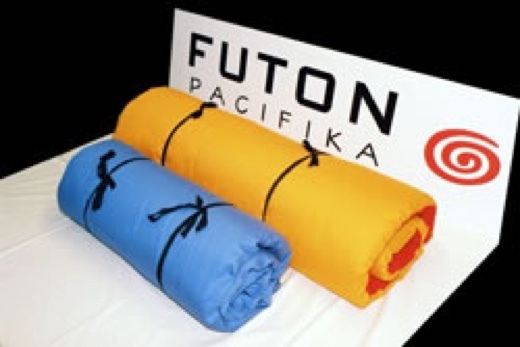 Please contact gary@futonpacifika.co.uk to discuss your requirements. A “clip-on” Padded Strap with adjustable support straps that give additional balance and strength. Used for “hands free” transportation. Bags are designed for both protection and transportation purposes. Allowing you to be “Hands free” when travelling with your mat. A cylindrical bag having a full length zipped opening and a drawstring end. They come complete with an adjustable Padded Carrying Strap and Support Straps (which help with balance). Made from Water"Proofed” Canvas material. Can be supplied in either Black or Olive Green (please state choice on your order). NOTE - The Canvas is NOT washable. Bags are designed for both protection and transportation purposes. Allowing you to be “Hands free” when travelling with your mat. A cylindrical bag having a full length zipped opening and a drawstring end. They come complete with an adjustable Padded Carrying Strap and Support Straps (which help with balance). Made from Water"Proofed” Canvas material. Can be supplied in either Black or Olive Green (PLEASE STATE CHOICE ON YOUR ORDER). NOTE - The water “proofed” Canvas is NOT washable. Bags are designed for both protection and transportation purposes. 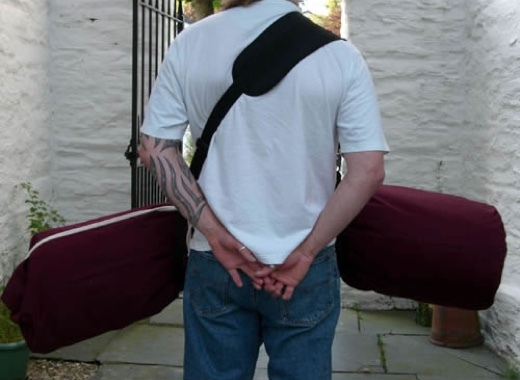 Allowing you to be “Hands free” when travelling with your mat. A cylindrical bag having a full length zipped opening and a drawstring end. They come complete with an adjustable Padded Carrying Strap and Support Straps (which help with balance). 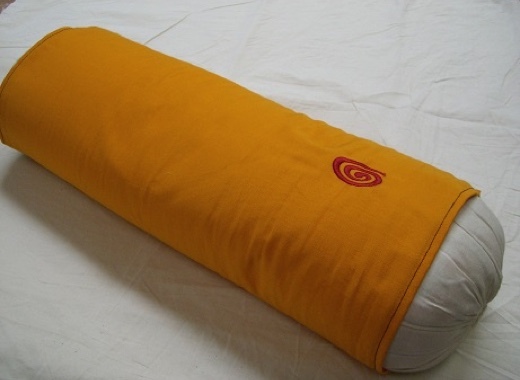 Made from 100% Cotton Drill (machine washable) - the same material as the Covers. See Colours page for more information on colour fastness. 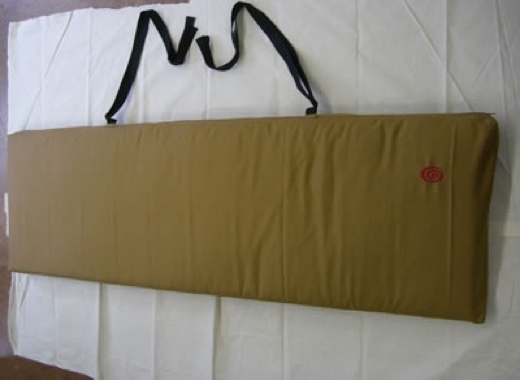 45cm x 150cm Strip of Cotton Drill that is placed under the clients head / face when in Prone position. For additional cleanliness, means the whole cover does not need to be washed after each client. 45cm x 140cm Strip of Cotton Drill that is placed under the clients head / face when in Prone position. For additional cleanliness, means the whole cover does not need to be washed after each client. 45cm x 90cm Strip of Cotton Drill that is placed under the clients head / face when in Prone position. For additional cleanliness, means the whole cover does not need to be washed after each client. 45cm x 60cm Strip of Cotton Drill that is placed under the clients head / face when in Prone position. For additional cleanliness, means the whole cover does not need to be washed after each client. NOTE - These sheets are not normally used on their own. 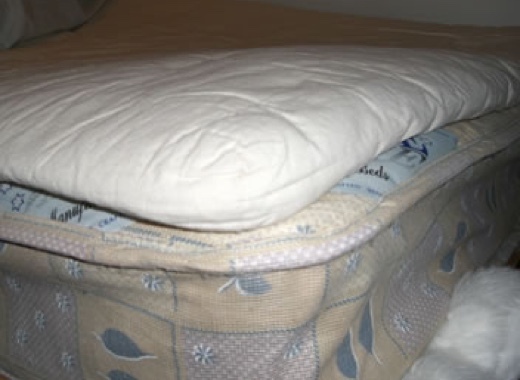 They are normally place ONTOP of the standard zipped Cover - which gives overall protection to the Futon. NOTE - These sheets are not normally used on their own. 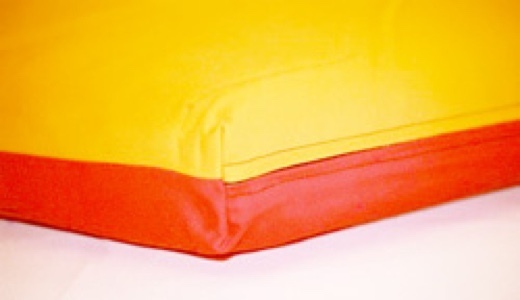 They are normally place ONTOP of the standard zipped Cover - which gives overall protection to the Futon. See Colours page for more information on colour fastness. Note: If you would like to receive a colour swatch of the cover colours available, please e-mail us your postal address. Weighs approx 0.7kg. See Colours page for more information on colour fastness. Note: If you would like to receive a colour swatch of the cover colours available, please e-mail us your postal address.Note - Dual Colour Covers are available for an extra surcharge. If you want this option - add one colour here, and add the 2nd colour when you add the Dual Colour to the shopping cart (see Colours page). PLEASE SPECIFY THE COLOUR WANTED ON YOUR ORDER. Designed to be positioned at the end (or alongside) the Futon. Extending your working platform where required. Extentions are generally made-up to suit the thickness / layer options as your main Futon Mat. Weighs approx. 3.2kg.NOTE - The Extension Futon itself is NOT washable and needs to be protected from soiling. Separate Covers (#155) can be ordered and are made in a choice of 16 different colours. Designed to be positioned at the end (or alongside) the Futon. Extending your working platform where required. 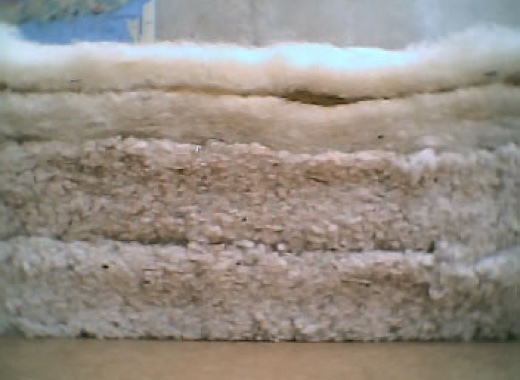 Extentions are generally made-up to suit the thickness / layer options as your main Futon Mat. Weighs approx. 2.8kg.NOTE - The Extension Futon itself is NOT washable and needs to be protected from soiling. Separate Covers (#153) can be ordered and are made in a choice of 16 different colours. Designed to be positioned at the end (or alongside) the Futon. Extending your working platform where required. 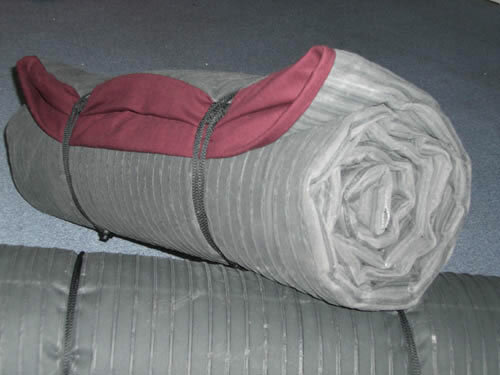 Extentions are generally made-up to suit the thickness / layer options as your main Futon Mat. Weighs approx. 2.8kg.NOTE - The Extension Futon itself is NOT washable and needs to be protected from soiling. Separate Covers (#155) can be ordered and are made in a choice of 16 different colours. Weighs approx 0.6kg. See Colours page for more information on colour fastness. Note: If you would like to receive a colour swatch of the cover colours available, please e-mail us your postal address.Note - Dual Colour Covers are available for an extra surcharge. If you want this option - add one colour here, and add the 2nd colour when you add the Dual Colour to the shopping cart (see Colours page). PLEASE SPECIFY THE COLOUR WANTED ON YOUR ORDER. Designed to be positioned at the end (or alongside) the Futon. Extending your working platform where required. 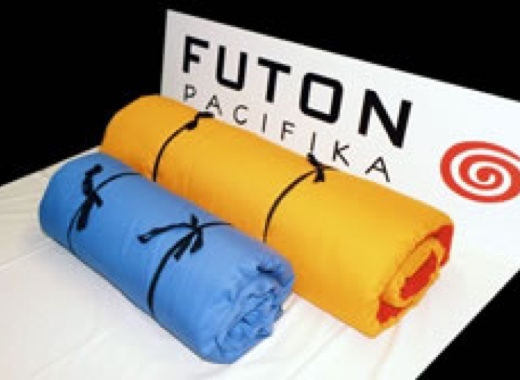 Extentions are generally made-up to suit the thickness / layer options as your main Futon Mat. Weighs approx. 2.8kg.NOTE - The Extension Futon itself is NOT washable and needs to be protected from soiling. Separate Covers (#154) can be ordered and are made in a choice of 16 different colours. Designed to be positioned at the end (or alongside) the Futon. Extending your working platform where required. 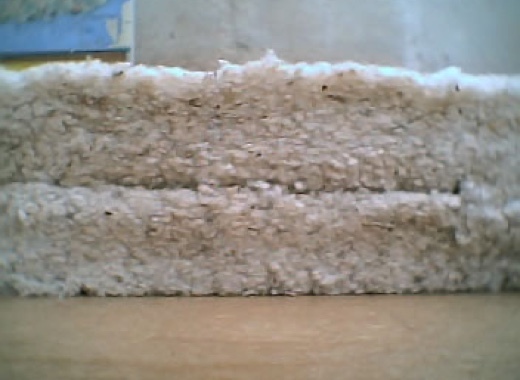 Extentions are generally made-up to suit the thickness / layer options as your main Futon Mat. Weighs approx. 2.5kg.NOTE - The Extension Futon itself is NOT washable and needs to be protected from soiling. Separate Covers (#154) can be ordered and are made in a choice of 16 different colours. Designed to be positioned at the end (or alongside) the Futon. Extending your working platform where required. 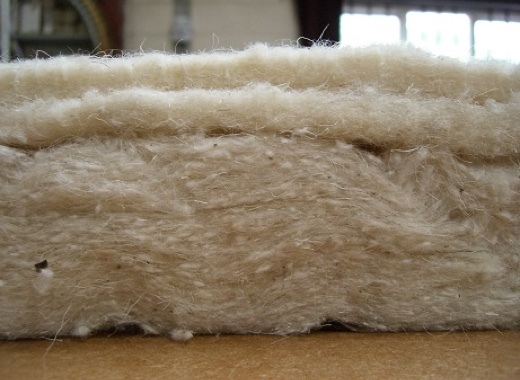 Extentions are generally made-up to suit the thickness / layer options as your main Futon Mat. Weighs approx. 1.5kg.NOTE - The Extension Futon itself is NOT washable and needs to be protected from soiling. Separate Covers (#154) can be ordered and are made in a choice of 16 different colours. Weighs approx 0.4kg. See Colours page for more information on colour fastness. Note: If you would like to receive a colour swatch of the cover colours available, please e-mail us your postal address.Note - Dual Colour Covers are available for an extra surcharge. If you want this option - add one colour here, and add the 2nd colour when you add the Dual Colour to the shopping cart (see Colours page). PLEASE SPECIFY THE COLOUR WANTED ON YOUR ORDER. Designed to be positioned at the end (or alongside) the Futon. Extending your working platform where required. 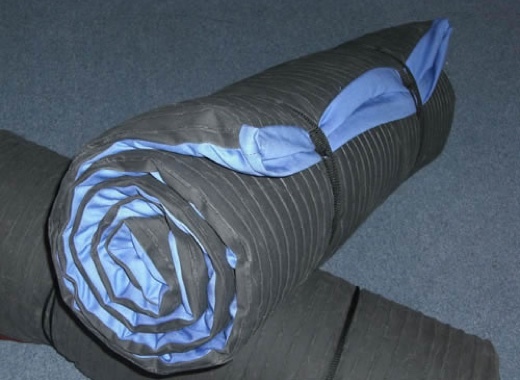 Extentions are generally made-up to suit the thickness / layer options as your main Futon Mat. Weighs approx. 2.2kg.NOTE - The Extension Futon itself is NOT washable and needs to be protected from soiling. Separate Covers (#153) can be ordered and are made in a choice of 16 different colours. Designed to be positioned at the end (or alongside) the Futon. Extending your working platform where required. Extentions are generally made-up to suit the thickness / layer options as your main Futon Mat. Weighs approx. 2.1kg.NOTE - The Extension Futon itself is NOT washable and needs to be protected from soiling. Separate Covers (#153) can be ordered and are made in a choice of 16 different colours. Designed to be positioned at the end (or alongside) the Futon. Extending your working platform where required. Extentions are generally made-up to suit the thickness / layer options as your main Futon Mat. Weighs approx. 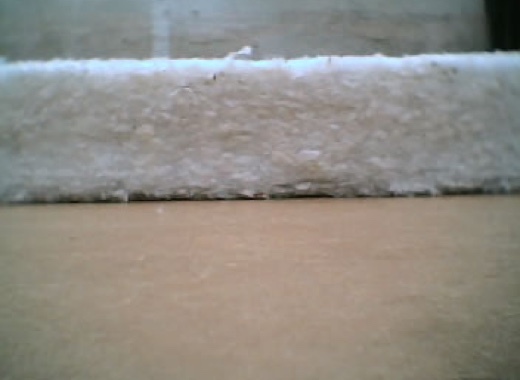 2.0kg.NOTE - The Extension Futon itself is NOT washable and needs to be protected from soiling. Separate Covers (#153) can be ordered and are made in a choice of 16 different colours. Designed to be positioned at the end (or alongside) the Futon. Extending your working platform where required. 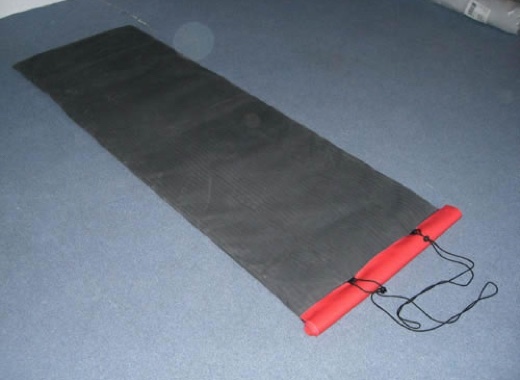 Extentions are generally made-up to suit the thickness / layer options as your main Futon Mat. Weighs approx. 1.8kg.NOTE - The Extension Futon itself is NOT washable and needs to be protected from soiling. Separate Covers (#153) can be ordered and are made in a choice of 16 different colours. Designed to be positioned at the end (or alongside) the Futon. Extending your working platform where required. Extentions are generally made-up to suit the thickness / layer options as your main Futon Mat. Weighs approx. 1.0kg.NOTE - The Extension Futon itself is NOT washable and needs to be protected from soiling. Separate Covers (#153) can be ordered and are made in a choice of 16 different colours. This is an adjustable face ring that can be used when the client is in Prone position. Helps to lift the face up from the futon. 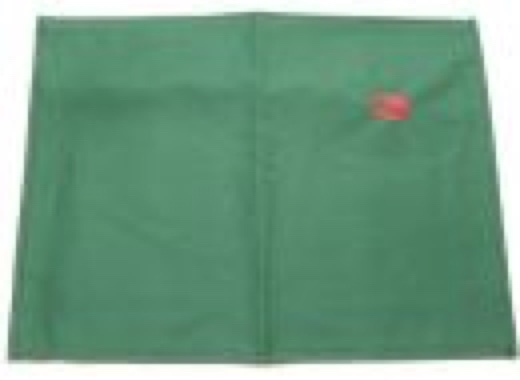 7cm x 9cm x 90cm with separate covers (machine washable – see colour chart for options). Aid comfort when placed under lumber region of the client when in supine position (to release compression). 25mm thick 15cm x 45cm with separate covers (machine washable – see colour chart for options). Weighs approx 0.2kg. See Colours page for more information on colour fastness. Note: If you would like to receive a colour swatch of the cover colours available, please e-mail us your postal address.Note - Dual Colour Covers are available for an extra surcharge. If you want this option - add one colour here, and add the 2nd colour when you add the Dual Colour to the shopping cart (see Colours page). PLEASE SPECIFY THE COLOUR WANTED ON YOUR ORDER. 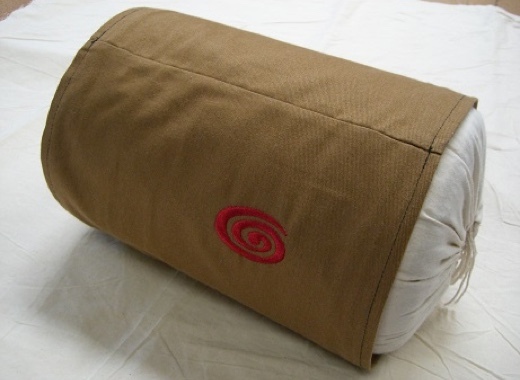 More Versatile than Support Rolls, they can be used flat as a Mat Extension, OR they can be Rolled or Folded for Head / Back / Leg support when in Side, Prone or Supine position.NOTE - The Cushion itself is NOT washable and needs to be protected from soiling. Separate Covers (#140) can be ordered and are made in a choice of 16 different colours. Weighs approx 0.2 kg. See Colours page for more information on colour fastness. Note: If you would like to receive a colour swatch of the cover colours available, please e-mail us your postal address. Made with Lightweight Cotton/Poly material stuffed into a sewn calico shell - forming a bolster shaped support.NOTE - THESE ARE NOT WASHABLE. Weighs approx 0.2 kg. See Colours page for more information on colour fastness. Note: If you would like to receive a colour swatch of the cover colours available, please e-mail us your postal address. Full zip covers are also available if you want maximum protection for your support roll (see Full Type). Made with premium grade cotton and wool mixture stuffed into a sewn calico shell - forming a bolster shaped support.NOTE - THESE ARE NOT WASHABLE. Weighs approx 0.1 kg. See Colours page for more information on colour fastness. Note: If you would like to receive a colour swatch of the cover colours available, please e-mail us your postal address. 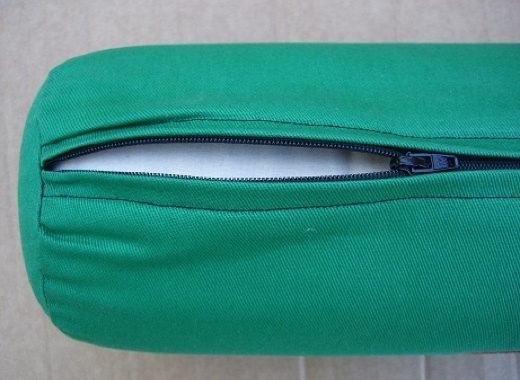 Full zip covers are also available if you want maximum protection for your support roll (see Full Type). Weighs approx 1.7 kg. See Colours page for more information on colour fastness. NOTE - Colour representations shown here are governed by the quality of the monitor, the graphic card and speed of the colour rendering. THE COLOURS YOU CAN SEE ON YOUR MONITOR MAY NOT BE ACCURATE TO THE ACTUAL MATERIAL COLOUR. IF IN DOUBT, AND TO AVOID DISCREPANCIES PLEASE REQUEST A COLOUR SWATCH BY EMAILING ME YOUR POSTAL ADDRESS. Note - Dual Colour Covers are available for an extra surcharge. If you want this option - add one colour here, and add the 2nd colour when you add the Dual Colour to the shopping cart (see Colours page). PLEASE SPECIFY THE COLOUR WANTED ON YOUR ORDER. 2 Layer of 1500gsm Premium Grade Cotton and 2 Layers of 500gsm Non-Needled Wool, sewn into a calico shell. Once “bedded-down” this Futon will be around 5.5cm thick - and roll to approx. 42cm diameter (x 150cm long) when carrying / storing. It weighs approx. 13.5kg.NOTE - The Futon itself is NOT washable and needs to be protected from soiling. Separate Covers (#029) can be ordered and are made in a choice of 16 different colours. 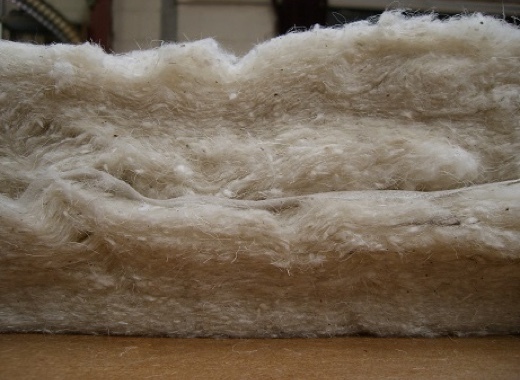 2 Layer of 1500gsm Premium Grade Cotton and 1 Layer of 500gsm Non-Needled Wool, sewn into a calico shell. Once “bedded-down” this Futon will be around 5cm thick - and roll to approx. 37cm diameter (x 150cm long) when carrying / storing. It weighs approx. 12.0kg.NOTE - The Futon itself is NOT washable and needs to be protected from soiling. Separate Covers (#029) can be ordered and are made in a choice of 16 different colours. 1 Layer of 1500gsm Premium Grade Cotton and 2 Layers of 500gsm Non-Needled Wool, sewn into a calico shell. Once “bedded-down” this Futon will be around 3.5cm thick - and roll to approx. 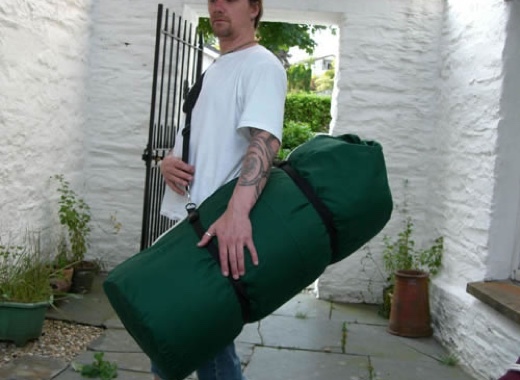 30cm diameter (x 150cm long) when carrying / storing. It weighs approx. 9.0kg.NOTE - The Futon itself is NOT washable and needs to be protected from soiling. Separate Covers (#029) can be ordered and are made in a choice of 16 different colours. 2 Layers of 1500gsm Premium Grade Cotton, sewn into a calico shell. Once “bedded-down” this Futon will be around 4cm thick - and roll to approx. 32cm diameter (x 150cm long) when carrying / storing. It weighs approx. 10.5kg.NOTE - The Futon itself is NOT washable and needs to be protected from soiling. Separate Covers (#029) can be ordered and are made in a choice of 16 different colours. Weighs approx 1.5 kg. See Colours page for more information on colour fastness. NOTE - Colour representations shown here are governed by the quality of the monitor, the graphic card and speed of the colour rendering. THE COLOURS YOU CAN SEE ON YOUR MONITOR MAY NOT BE ACCURATE TO THE ACTUAL MATERIAL COLOUR. IF IN DOUBT, AND TO AVOID DISCREPANCIES PLEASE REQUEST A COLOUR SWATCH BY EMAILING ME YOUR POSTAL ADDRESS. Note - Dual Colour Covers are available for an extra surcharge. If you want this option - add one colour here, and add the 2nd colour when you add the Dual Colour to the shopping cart (see Colours page). PLEASE SPECIFY THE COLOUR WANTED ON YOUR ORDER. 2 Layer of 1500gsm Premium Grade Cotton and 2 Layers of 500gsm Non-Needled Wool, sewn into a calico shell. Once “bedded-down” this Futon will be around 5.5cm thick - and roll to approx. 42cm diameter (x 140cm long) when carrying / storing. It weighs approx. 12.6kg.NOTE - The Futon itself is NOT washable and needs to be protected from soiling. Separate Covers (#019) can be ordered and are made in a choice of 16 different colours. 2 Layer of 1500gsm Premium Grade Cotton and 1 Layer of 500gsm Non-Needled Wool, sewn into a calico shell. Once “bedded-down” this Futon will be around 5cm thick - and roll to approx. 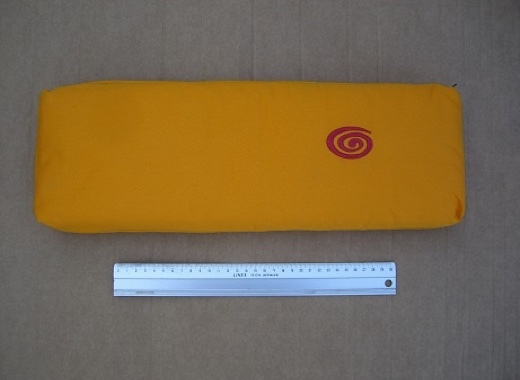 37cm diameter (x 140cm long) when carrying / storing. It weighs approx. 11.2kg…........ NOTE - The Futon itself is NOT washable and needs to be protected from soiling. Separate Covers (#019) can be ordered and are made in a choice of 16 different colours. 1 Layer of 1500gsm Premium Grade Cotton and 2 Layers of 500gsm Non-Needled Wool, sewn into a calico shell. Once “bedded-down” this Futon will be around 3cm thick - and roll to approx. 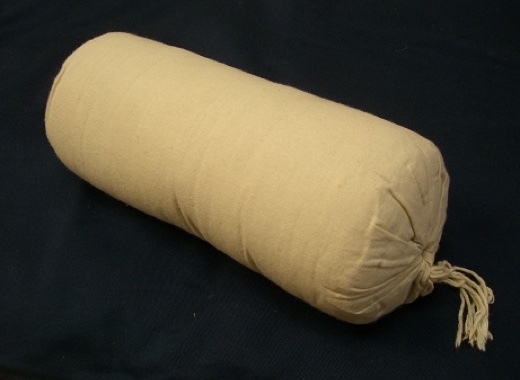 30cm diameter (x 140cm long) when carrying / storing. It weighs approx. 8.4kg…........ NOTE - The Futon itself is NOT washable and needs to be protected from soiling. Separate Covers (#019) can be ordered and are made in a choice of 16 different colours. 2 Layers of 1500gsm Premium Grade Cotton, sewn into a calico shell. Once “bedded-down” this Futon will be around 4cm thick - and roll to approx. 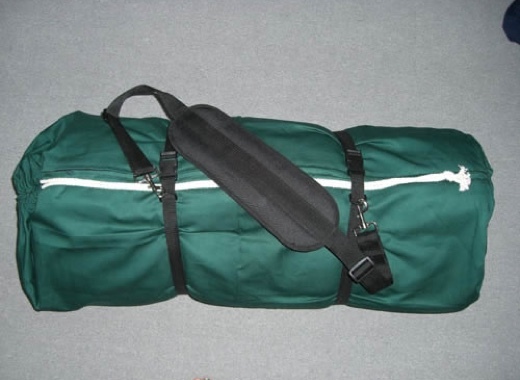 32cm diameter (x 140cm long) when carrying / storing. It weighs approx. 9.6kg.NOTE - The Futon itself is NOT washable and needs to be protected from soiling. Separate Covers (#019) can be ordered and are made in a choice of 16 different colours. 1 Layer of 1000gsm Cotton / Wool blend material, sewn into a calico shell. At around 2cm thick - this Futon will roll to approx. 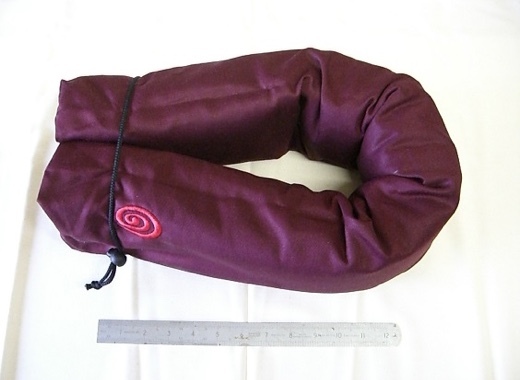 25cm diameter (x 140cm long) when carrying / storing. It weighs approx. 5.5kg.NOTE - The Futon itself is NOT washable and needs to be protected from soiling. Separate Covers (#019) can be ordered and are made in a choice of 16 different colours. Weighs approx 1.1 kg. See Colours page for more information on colour fastness. NOTE - Colour representations shown here are governed by the quality of the monitor, the graphic card and speed of the colour rendering. THE COLOURS YOU CAN SEE ON YOUR MONITOR MAY NOT BE ACCURATE TO THE ACTUAL MATERIAL COLOUR. IF IN DOUBT, AND TO AVOID DISCREPANCIES PLEASE REQUEST A COLOUR SWATCH BY EMAILING ME YOUR POSTAL ADDRESS. Note - Dual Colour Covers are available for an extra surcharge. If you want this option - add one colour here, and add the 2nd colour when you add the Dual Colour to the shopping cart (see Colours page). PLEASE SPECIFY THE COLOUR WANTED ON YOUR ORDER. 2 Layer of 1500gsm Premium Grade Cotton and 2 Layers of 500gsm Non-Needled Wool, sewn into a calico shell. Once “bedded-down” this Futon will be around 5.5cm thick - and roll to approx. 42cm diameter (x 90cm long) when carrying / storing. It weighs approx. 8.2kg.NOTE - The Futon itself is NOT washable and needs to be protected from soiling. Separate Covers (#009) can be ordered and are made in a choice of 16 different colours. 2 Layer of 1500gsm Premium Grade Cotton and 1 Layer of 500gsm Non-Needled Wool, sewn into a calico shell. Once “bedded-down” this Futon will be around 4.5cm thick - and roll to approx. 37cm diameter (x 90cm long) when carrying / storing. It weighs approx. 7.3kg.NOTE - The Futon itself is NOT washable and needs to be protected from soiling. Separate Covers (#009) can be ordered and are made in a choice of 16 different colours. 1 Layer of 1500gsm Premium Grade Cotton and 2 Layers of 500gsm Non-Needled Wool, sewn into a calico shell. Once “bedded-down” this Futon will be around 3cm thick - and roll to approx. 30cm diameter (x 90cm long) when carrying / storing. It weighs approx. 5.5kg.NOTE - The Futon itself is NOT washable and needs to be protected from soiling. Separate Covers (#009) can be ordered and are made in a choice of 16 different colours. 2 Layers of 1500gsm Premium Grade Cotton, sewn into a calico shell. Once “bedded-down” this Futon will be around 4cm thick - and roll to approx. 32cm diameter (x 90cm long) when carrying / storing. It weighs approx. 6.4kg.NOTE - The Futon itself is NOT washable and needs to be protected from soiling. Separate Covers (#009) can be ordered and are made in a choice of 16 different colours. 1 Layer of 1000gsm Cotton / Wool blend material, sewn into a calico shell. At around 2cm thick - this Futon will roll to approx. 25cm diameter (x 90cm long) when carrying / storing. It weighs approx. 3.5kg. NOTE - The Futon itself is NOT washable and needs to be protected from soiling. Separate Covers (#009) can be ordered and are made in a choice of 16 different colours.